The Usurper-in-Chief — Where Do His Real Loyalties Lie? 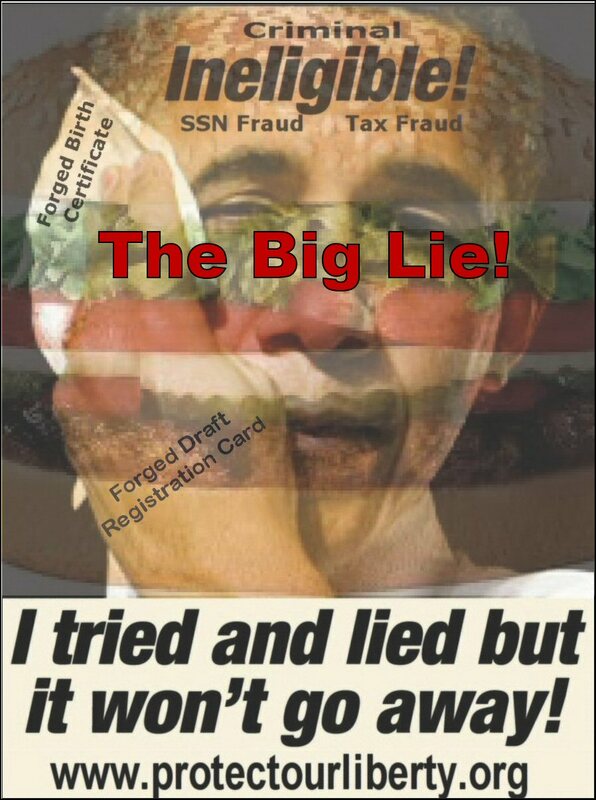 Obama’s Long Form Birth Certificate Released to the Public on 27 April 2011 is a Forgery! Author cfkerchnerPosted on July 13, 2011 July 16, 2011 Categories Articles/Reports-Other, News AnnouncementsTags Barack Obama, Barry Soetoro, Bernadine Dohrn, Bill Ayers, birth certificate forged, CDR Kerchner (Retired), draft registration fraud, Dreams from My Father, establishes diplomatic relationship, Illegal, Maxism, Muslim Brotherhood, Obama, radical Islam, SSN fraud, usurper, Where Do Obama's Loyalties Really Lie?